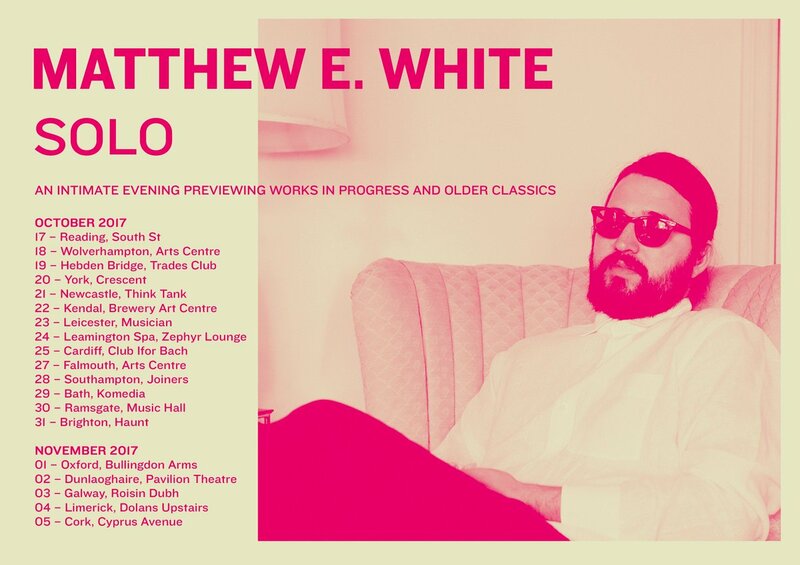 Last Saturday, 28th October, Matthew E. White played a set at one of Southampton’s best loved and longest running music venues, The Joiners, as part of a solo tour of the UK and Ireland to preview works in progress for his upcoming album. It has never been a venue that makes much distinction between those on the stage and those off it, but White’s warmth and genuine appreciation for his audience made for a very special evening. White was supported by Bedouine, the stage name of Azniv Korkejian, who is signed to his excellent label Spacebomb. She’s been branded as ‘one to watch’ by influential music blogs like Pitchfork and Stereogum, and her rich voice and talented guitar playing certainly merits the title. She played a beautiful hour long set, stunning the audience into silence with her voice and wry wit, and bringing a note of West Coast warmth and sunshine to a blustery Southampton evening. Bedouine’s lyrics are charming, her songwriting reminiscient of alt-folk stalwarts such as Laura Marling and Nick Drake. The stand out track of her set was One of These Days, a blissed-out ode to the bittersweet first hints of romance that slinks its way into your head and refuses to leave. After her set, she mingled happily with the audience, happy to chat about music and receive some extremely well-deserved compliments. The main set consisted of White on keyboard and vocals and his long-time collaborator, Andy Jenkins, on guitar. He opened his set by handing out review forms to the audience, explaining that he wanted honest feedback on newly written songs with a view to recording his third album. Asking the audience to rate songs as they were performed added a studious feel to the room, perhaps taking away somewhat from the spontaneity of a live performance, as the forty strong crowd peered over their sheets. White is known for his whispered singing and orchestral backing, so an acoustic solo show was always going to change his sound considerably. The crooning was replaced by a powerful baritone that suits his 6”2 frame and biblical hair and beard far better, breaking into a roar worthy of Axel Rose, and the sparse percussion and brass flourishes were replaced with electric guitar and looped beats. Most strikingly however, the lovelorn lyrics were swapped out for less than subtle attacks on the American presidency, which hints towards a far more dynamic and politically charged third album. Halfway through the set, two audience members were coerced up onto the stage to provide the soft backing vocals that embellish his studio work. As a stage presence, White’s soft manner and anecdotes between songs made the evening one to remember. Even at this early stage of recording, these songs will make for a marked change in sound for White, and bodes very well for his third album. Matthew E. White’s UK and Ireland tour has now finished, and his album Gentlewoman, Ruby Man with Flo Morrissey is out now on Glassnote Records. Bedouine’s eponymously titled debut album is out now, on Spacebomb Records. Second year languages student, mostly sorts out the illustrations for Wessex Scene, but enjoys seeing live music when allowed out.